Tom’s typical day starts out with a painting demonstration at 9:00 am. After a bag lunch students paint similar subject matter, using what they have learned until the day ends at 4:00. 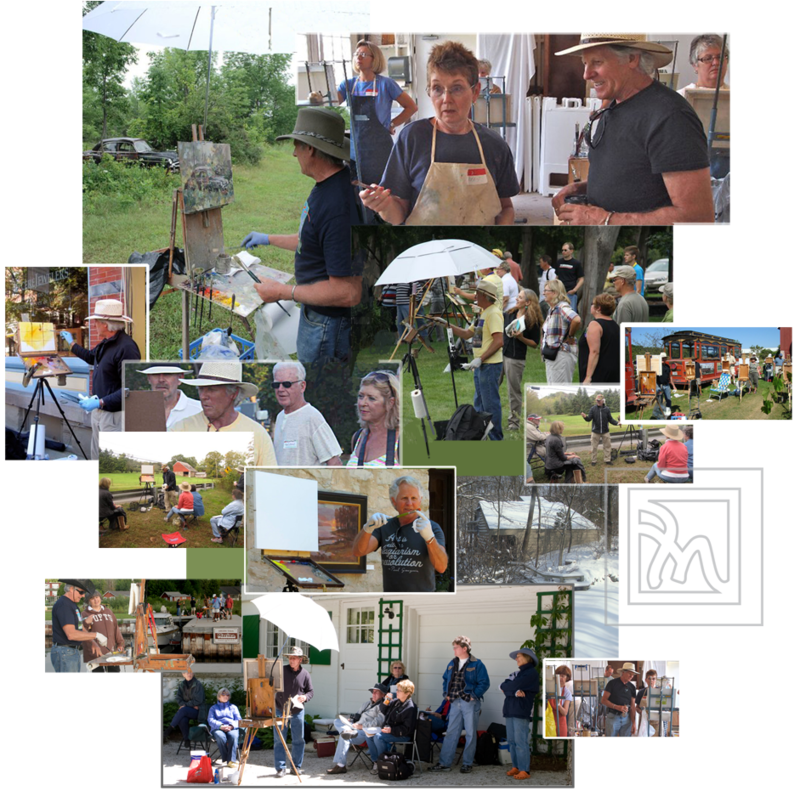 Tom’s Indoor-Studio Workshops & Outdoor-Plein Air Workshops cost on average $100 – $120 a day. Visit each workshop under EVENTS in the main menu to get the exact price, date, and where to send the check. Look below for Supply List and Workshop Kit. …………………. Look at the bottom and middle of the Home Page or scroll down under EVENTS to find all information. To inquire about classes in your area, and to get a newsletter with the most recent announcements, contact me today. For a list of recommended supplies for indoor workshops, visit this link. For a list of recommended supplies for outdoor workshops, visit this link.